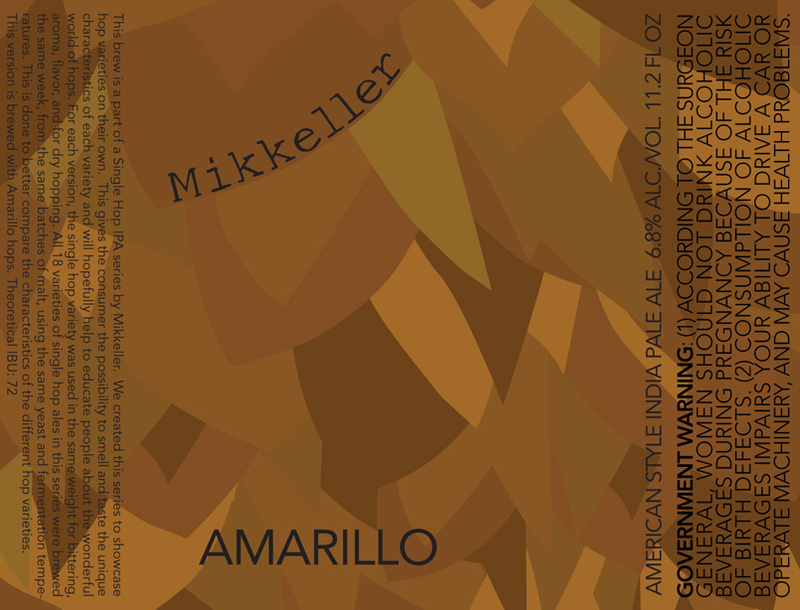 Amarillo is a very popular American hops, which has gone from strength to strength all over the world. Plenty of floral aromas and pine needles and plenty of raw bitter taste. This Single Hop is a chance to taste Amarillo completely isolated from other hops. Water, malts (pilsner, cara-crystal and munich), hops (amarillo) and yeast.